Capable, versatile, and luxurious — the Land Rover Discovery has the ability to seat up to seven passengers on your next adventure. Its strong, athletic stance hints at the dynamic performance and rugged amenities found on the Discovery. Choose between a 3.0-liter supercharged V6 or a 3.0-liter turbocharged diesel V6 to conquer even the roughest terrain. When properly equipped, the Discovery has the ability to tow up to 8,201 lbs while the optional Terrain Response 2 system can make automatic suspension adjustments to suit the situation. Premium leather seating surfaces along with authentic metal and wood finishes surround occupants inside the Discovery. Tap into the power of your smartphone with the InControlⓇ Remote™ app to take command of a variety of vehicle functions and systems — all with the press of a button. 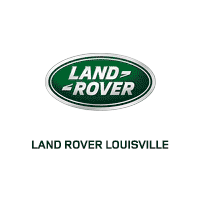 Few SUVs can match the sophistication and go-anywhere capability of the Land Rover Discovery.